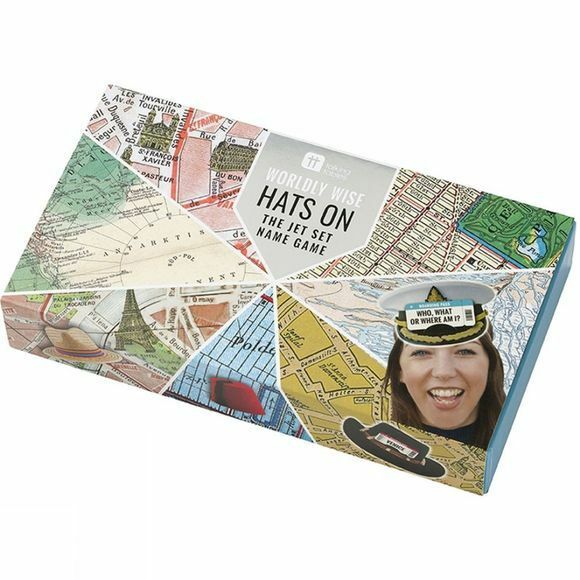 The Worldly Wise Hats On Game from Talking Tables is a great guessing game for all the family. Find out where, who or what in the world you are by putting on a hat and asking only 'yes' or 'no' questions. Keep a ticket if you guess correctly and the passenger with the most tickets wins!